If you couldn’t tell, I’ve been uploading a lot of Disney Resturant Reviews lately (this is the third one I’ve posted this summer alone) and it’s mainly because I’ve been having serious Disney withdrawals lately. All of the amazing news that came from D23 last weekend has got me even more excited to visit the Disney Parks (even though most of the new attractions wouldn’t be done until 2021). Since I’ll be visiting Disney World again in about two and a half weeks, I thought today would be perfect timing to share another Disney related post (since you know, I’m obsessed with Disney). I’ve shared this before but whenever I visit the Disney Parks, I always make it my mission to try and eat at at least one new restaurant. Whether it be somewhere in the parks that I’ve never tried before or at somewhere in Downtown Disney (if I’m visiting Disneyland) or Disney Springs (if I’m visiting Disney World). 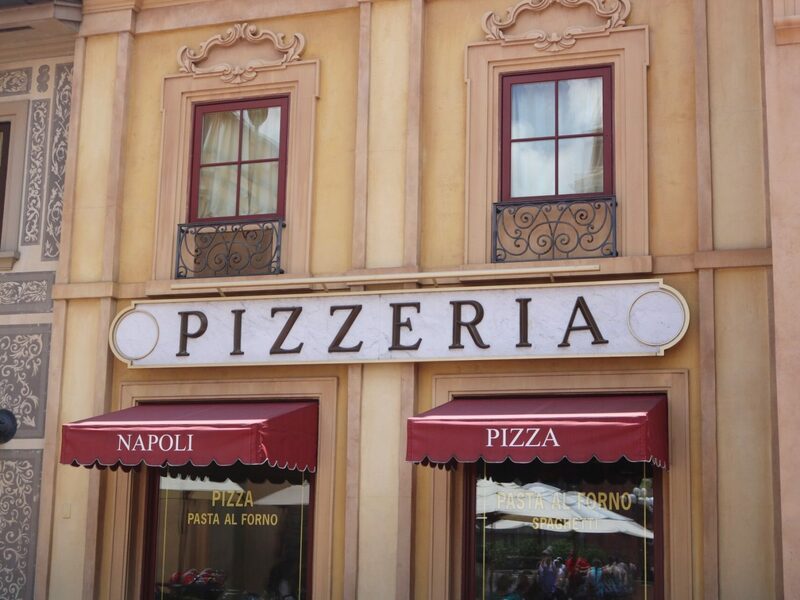 During my last WDW trip (in June) I finally decided to give Via Napoli Ristorante e Pizzeria a try! 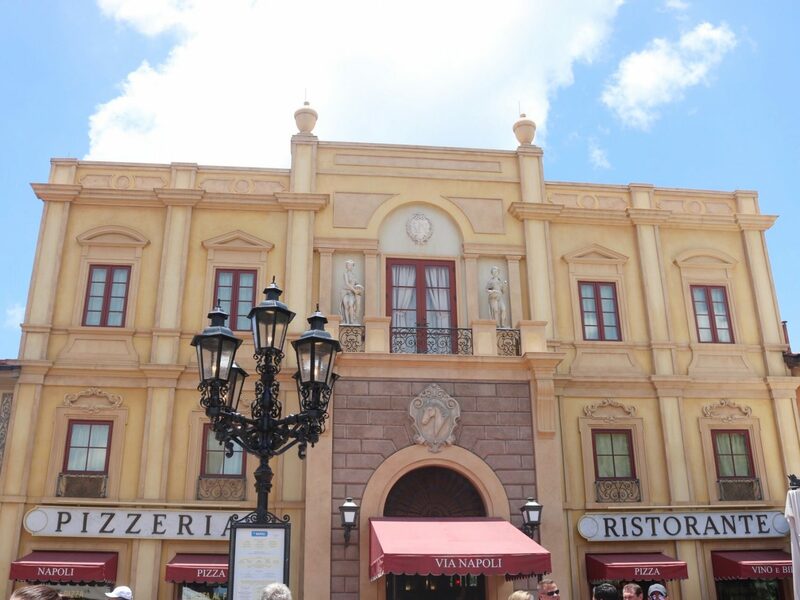 Located in the Italy Pavillon at Epcot in Disney World, Via Napoli Ristorante e Pizzeria (or Via Napoli for short) offers authentic Italian cuisine, including hearty pastas and wood-fired pizzas. 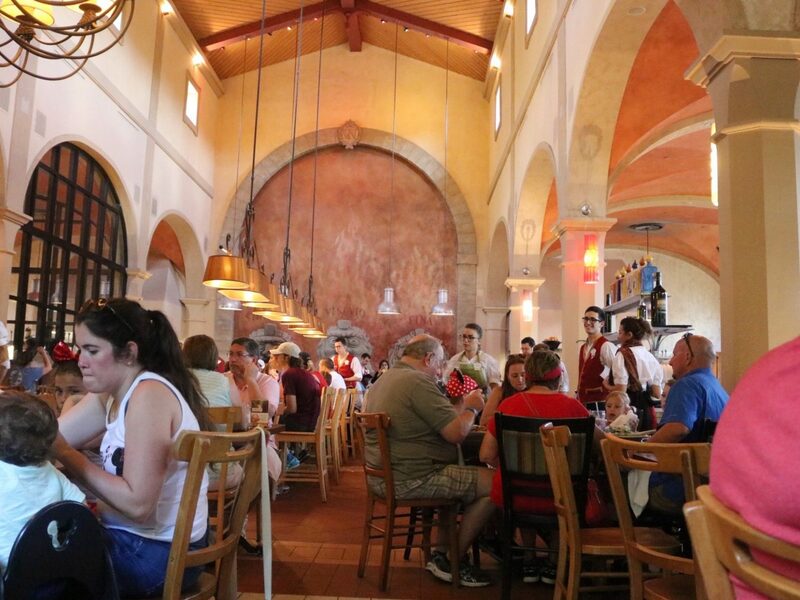 Since its opening in 2010, Via Napoli has been a fan favorite amongst many Disney World guests. 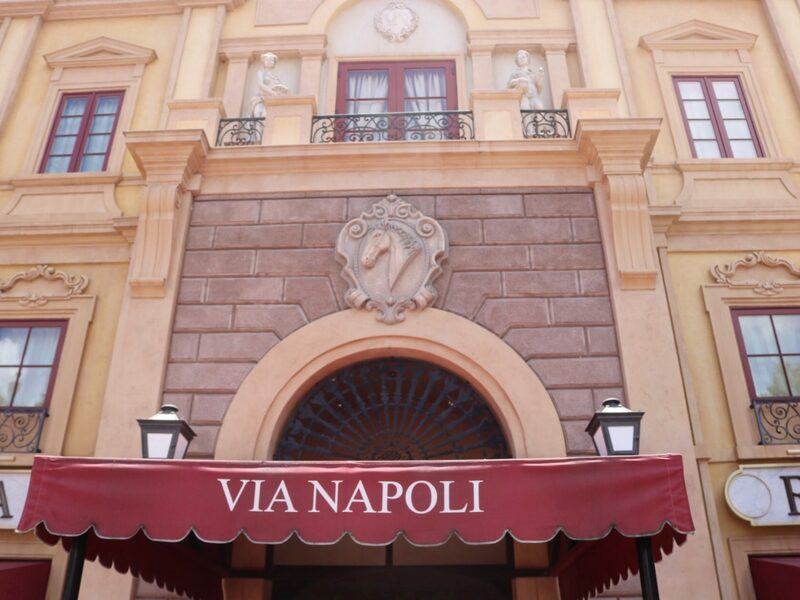 Although I’d heard nothing but great things about Via Napoli, I was always a little apprehensive about dining there since I’ve never been a huge fan of any of the pizza offered at Disney World. Since I’ve been trying to experience new Disney restaurants, I decided to bite the bullet and give Via Napoli a try. Like many popular Disney restaurants, Via Napoli is often crowded so I highly recommend getting a reservation (I was able to get a reservation about a six days in advance) to avoid long wait times. 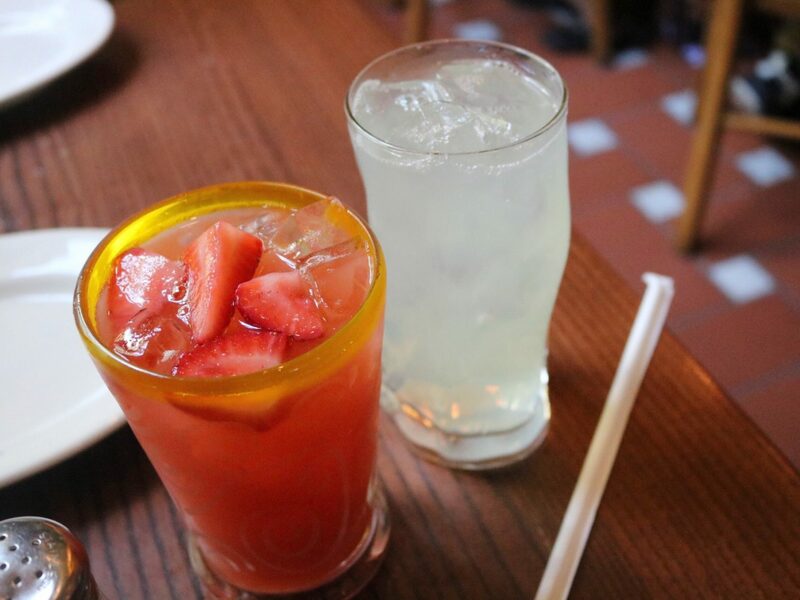 Although I usually love strawberry flavored drinks, I was not a big fan of the Aqua Frescas (which was a non-alcoholic strawberry fruit juice cooler). It sort of tasted like thick strawberry flavored water. On the bright side, the lemonade was quite delicious (I really like lemonades that aren’t too tart!). Before dining at Via Napolia I did a lot of research to see which appetizers, pastas, pizzas, etc. were the most popular amongst guests. 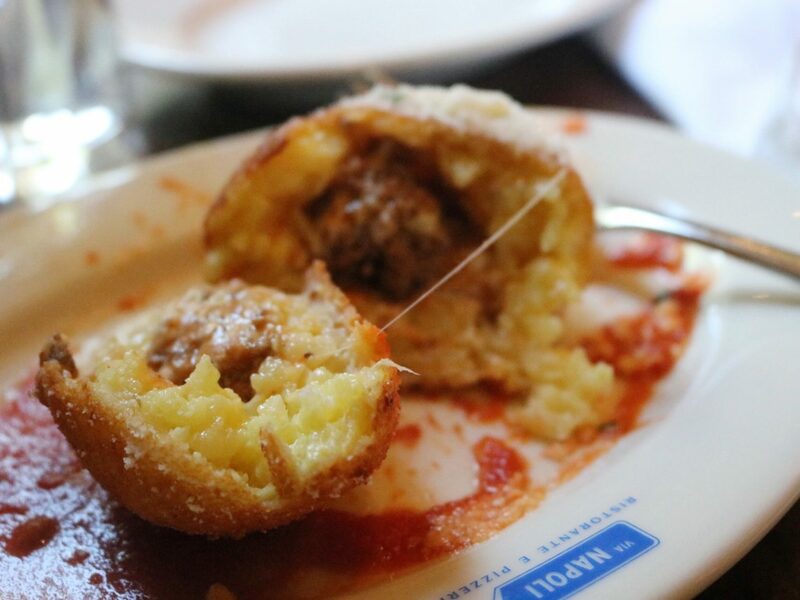 The Arancini was by far one of the most recommended appetizers at Via Napoli! 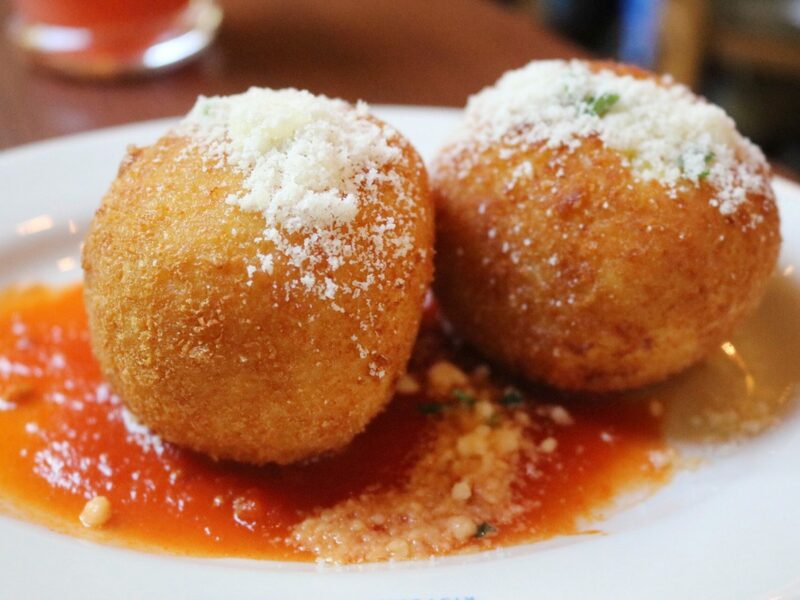 I sort of have mixed feelings about the Arancini, which are fried risotto balls filled with mozzarella & meat ragu. 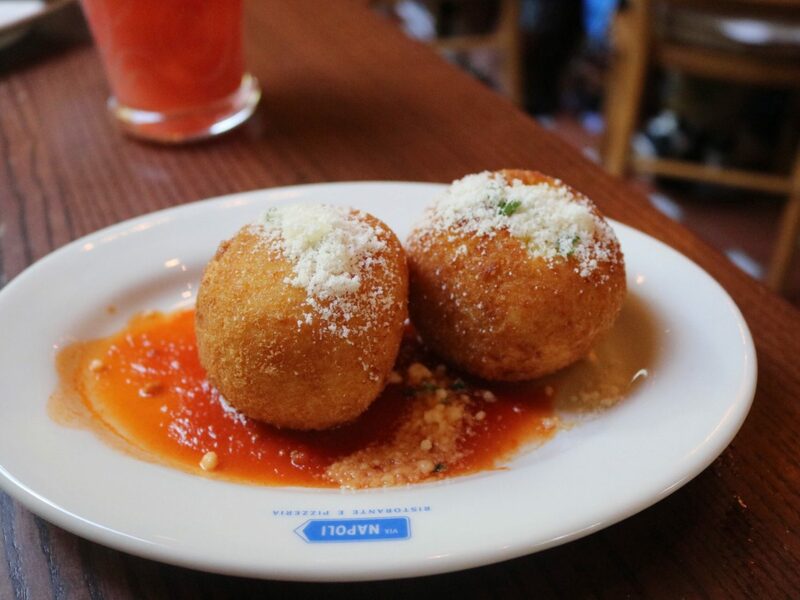 One the one hand, I really enjoyed the Arancini but it also left me wanting more. 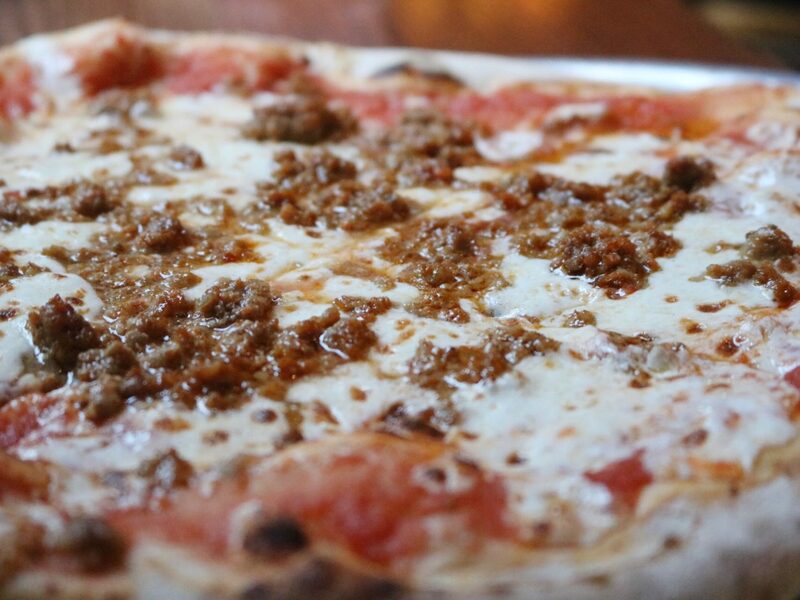 More flavor, more sauce, more mozzarella. If I had to rate it I’d give it a 5/10. It wasn’t bad but it wasn’t something I’d order again. 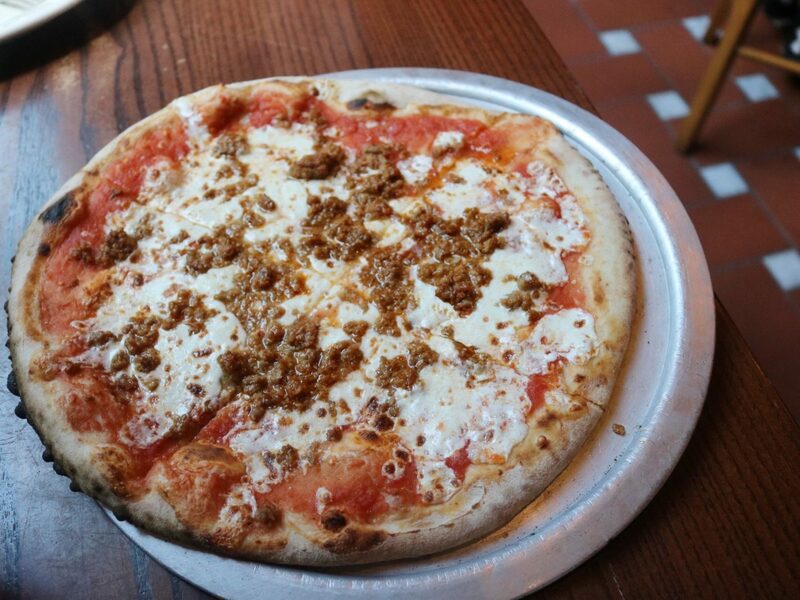 With a name like Via Napoli Ristorante e Pizzeria and being located in the Italy Pavillon, one can only assume one thing: they have GREAT pizza! Like I said earlier, I’ve never been overly impressed with any of the pizza at Walt Disney World (maybe because I’m from Chicago and always compare everything to our excellent pizza options) but Via Napoli’s pizza definitely exceeded my exceptions! I ordered the Build-Your-Own Pizza – Individual Classic Margherita 10″, which comes with tomato sauce, mozzarella and basil and added some Italian spicy sausage on top. It was so YUMMY! 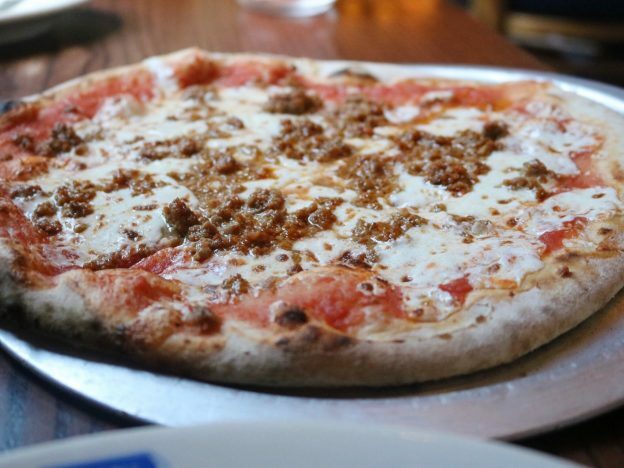 First of all, I’m not even exaggerating when I say that that Italian spicy sausage might have been the best sausage I’ve ever tasted (normally I hate sausage on pizza and usually order pepperoni but I’m so glad I ordered this!). 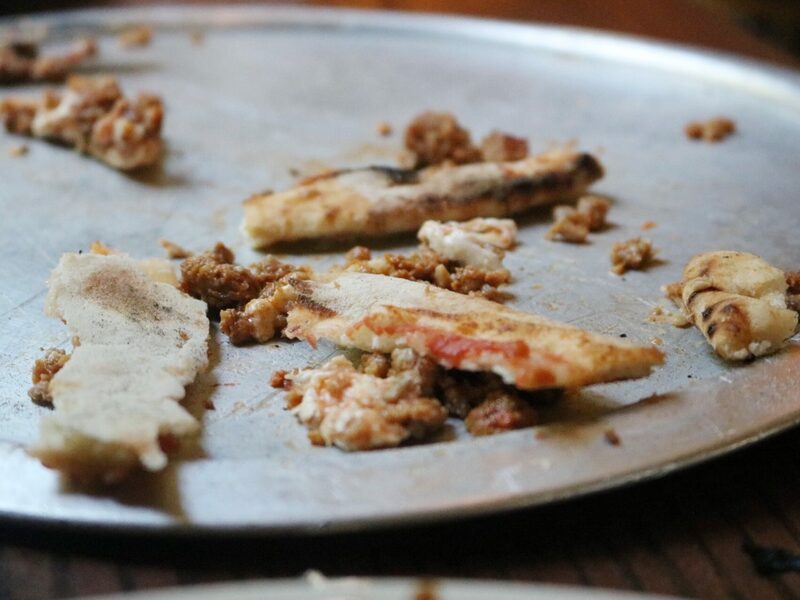 I think it’s safe to say that I enjoyed the pizza! I would definitely dine at Via Napoli again for the pizza alone (I really want to try the Quattro Formaggi Pizza next time! ).